As we all are aware of the fact that Indian weddings are very much influenced by the western culture. Be it the décor, engagement ceremony or cutting cake, there are many things that led us to add in the Indian weddings. 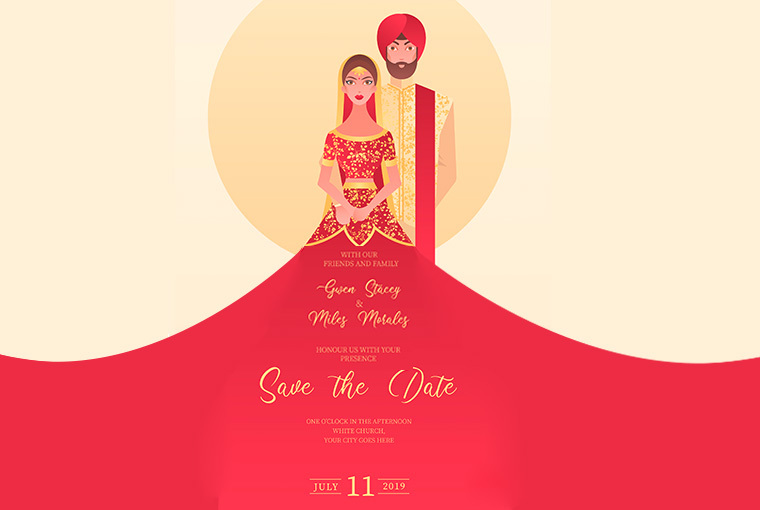 One of the most popular trends that we loved the most is sending Save the Dates before the wedding. 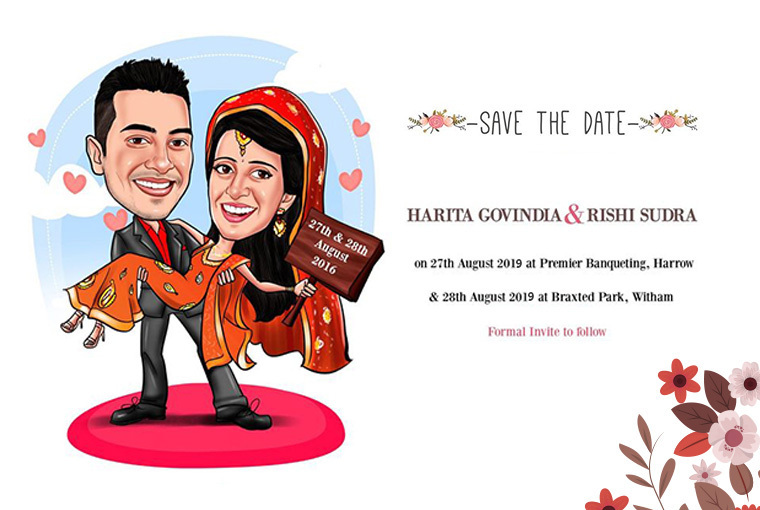 Sending them helps the guests to make the necessary arrangements for your wedding before you send an actual invite. 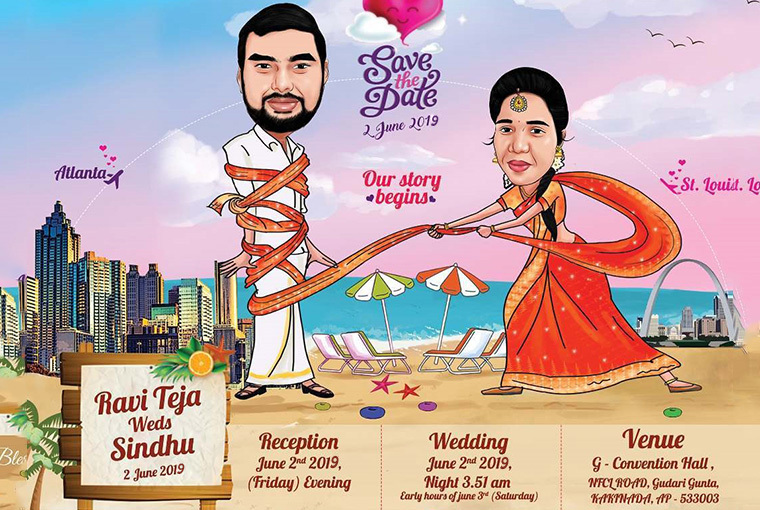 Earlier these Save the Dates used to include only couple picture which was usually from the couple’s pre-wedding shoot or a small video, but now illustrations are very much trending these days! 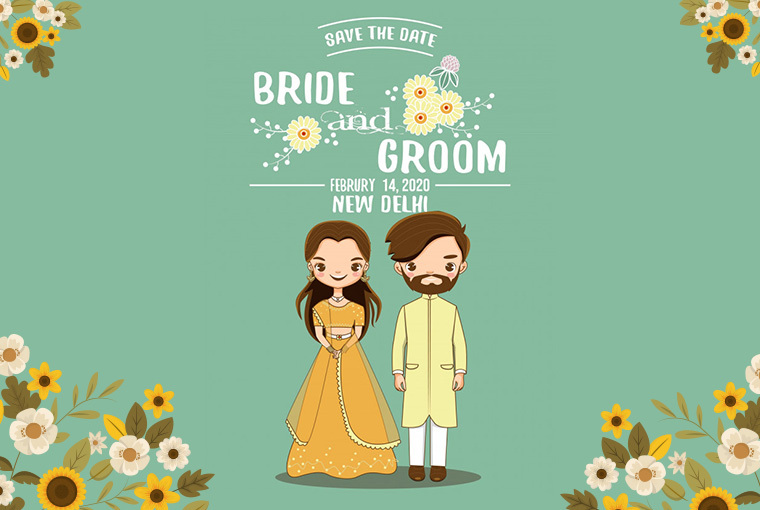 Couples are now opting for cute illustrations instead of those mainstream mushy images. There are so many options to go for and you can get your artwork designed as per your wish. Plus, they can also be created depicting your story or your first date. 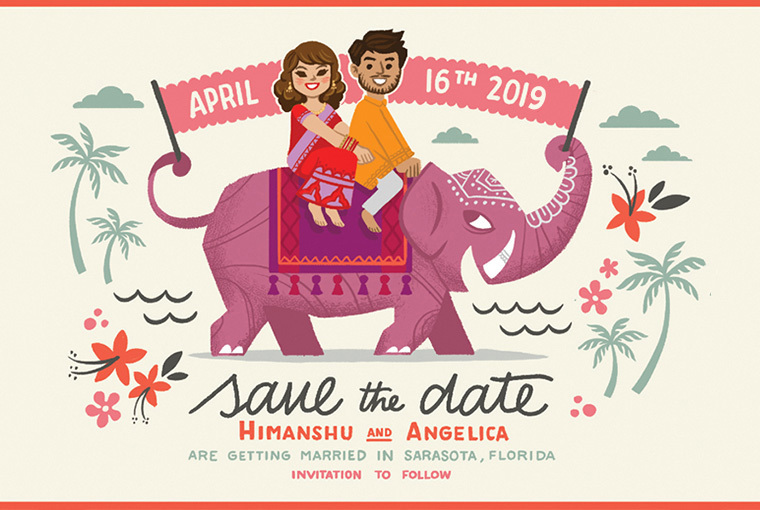 So, here are a few illustrations that can help you design the cutest save-the-date, that’ll leave your guests super thrilled to see the full invitation, and all prepped up for the big day! 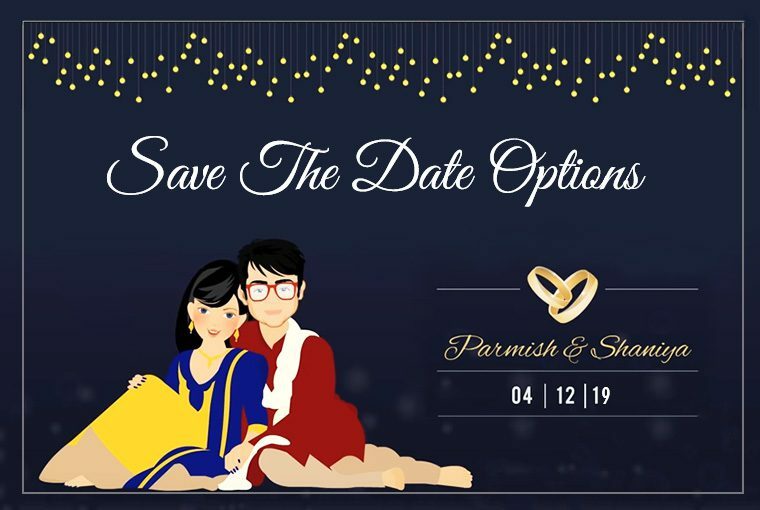 If you’re getting married soon, we hope with this post will help you get it designed the best one for you!